One of the most famous and spectacular Bolivian dances, with a strong presence in the Carnival of Oruro and the Jesús del Gran Poder Festival celebrated in La Paz. 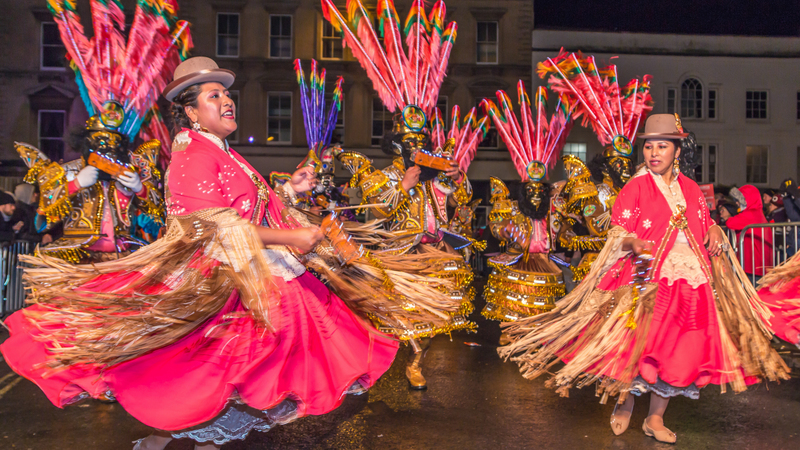 It is also present in almost every big folkloric event in Bolivia and in many other neighbouring places in Peru and Chile and we are pleased to bring it to you at the Emporium! Some Morenada dancers (men and women alike) wear flamboyant costumes with sequins and reflective threads of gold and silver and imitated pre-Columbian dresses. The women (called “chinas”) wear very short skirts, low front blouses and flashy thigh-high boots.